I was recently saddened by the passing at age 74 of my good friend and mentor, René Chazottes. 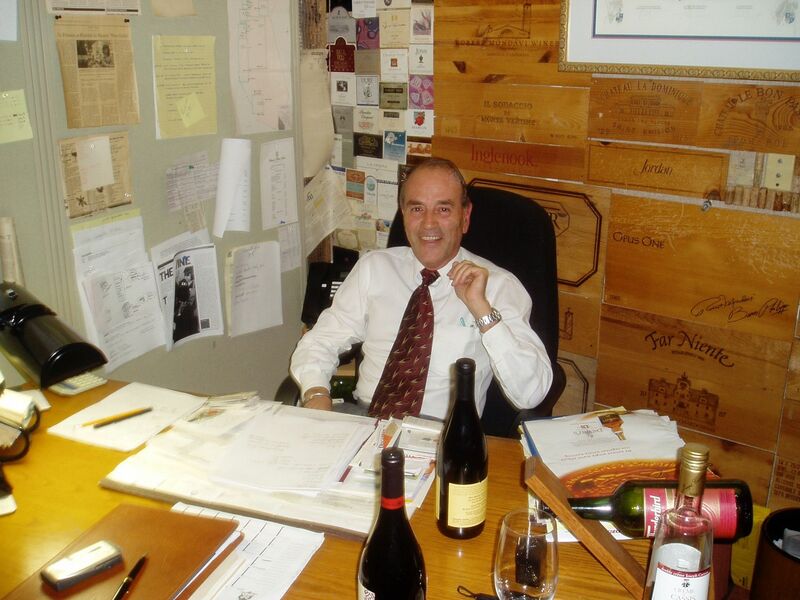 Born in French Madagascar, René came to the United States in 1967, He was the owner and chef of a French restaurant in Sherman Oaks, California, for several years when he developed a serious interest in wine and wine and food pairing. He passed the difficult exam to become a Maître Sommelier of The French Sommelier Society. In 1988, he held the title of Best Sommelier in America, and in 1990 represented the United States in the International Sommelier Competition held in Paris. At this competition, he won first place in the Harmony of Food and Wine contest competing with sommeliers from sixteen other countries. He became a respected wine judge as the only one with a background as both a chef and Master Sommelier and tasted at least 5,000 wines a year. René served as the Chief of the Tasting Panel for The Underground Wine Journal as well. He joined The Pacific Club in Newport Beach, California over 30 years ago as the Director of Food and Wine and was revered by the members of this prestigious club. He led members of The Pacific Club on trips to wine regions throughout the world and these trips became legendary due to his many friends worldwide in the wine business that welcomed him. I got to know René when I asked him to conduct a wine-themed dinner at The Pacific Club for members of my wine club, Le Grand Crew. Over the years, we organized numerous wine dinners together including Superbowls of Pinot Noir, Williams Selyem Pinot Noir vertical, Burgundy tastings, a Spanish wine tasting featuring old vintages of Vega Sicilia and Marques De Murrieta, a Beaucastle vertical, and a Zind Humbrecht dinner. His knowledge inspired me and I found planning the wine dinners and spending time with him was often more rewarding than the dinner itself. When I began my newsletter, The PinotFile, he offered salient advice and direction. Through the years he read the newsletter faithfully and frequently offered praise and encouragement. He taught me integrity and the appropriate use of criticism. René’s favorite food wine was Pinot Noir because of its high acidity and red fruits. Wines high in acid cleanse the palate and increase the desire for more food. He complained that domestic Pinot Noirs often had too much extraction, too much alcohol and were overpriced, and he decried winemaker’s efforts to darken Pinot Noir, saying, “Purple Pinot Noir is like a blond African girl - unnatural.” French Burgundy was a favorite of his because it had less alcohol and impeccable balance. “The result is that after dinner you do not feel drunk or tired. The Burgundians know how to eat. They take time to eat and they match their wines with the appropriate food.” ,p> There were a number of points René made that are highly quotable and I call “The Gospel According to René.” Here are a few examples. Of course, the words sounded much better when René said them in his French accent. that is it, the experience will bring you to your knees. The best wine is the wine you have in your glass if it gives you pleasure. It doesn’t matter where it came from or what it cost. Serving ice water at dinner makes me cringe. Ice in water kills the taste of wine. Only serve plain water without ice at dinner. Do not be intimidated by wine and all the hype surrounding it. Wine is only fermented grape juice. Do not be overwhelmed by names and prices. French food is most of the time overrated. But when it is good, it is damn good.